Millions of people use acetaminophen, better known by the brand name Tylenol, for treating everything from fevers and muscle aches to headaches. It’s widely available over the counter (OTC), as well as used in many prescription medications to treat pain, allergies, sleeping problems, coughs, colds and more. Because it’s so common and easily accessible, most people believe it’s perfectly safe, but a new warning from the US Food and Drug Administration (FDA) serves as an important reminder that even popular OTC medicines can be dangerous, and even deadly. After reviewing data from the FDA Adverse Event Reporting System (FAERS), the FDA found 107 cases of serious skin reactions linked to acetaminophen products from 1969 to 2012. Sixty-seven of them required hospitalization while 12 lead to death. The data, coupled with several cases documented in medical literature, has led the FDA to require a warning about potential skin reactions be added to prescription acetaminophen products. “It’s not clear why the skin conditions have not emerged as a health concern sooner, given how many people take the pain-killing medication. Health officials say it’s too soon to determine whether dose is an issue, or whether the combination of acetaminophen with other ingredients or medications causes the adverse events. It was just two years ago when the FDA asked all markers of prescription acetaminophen products to limit the amount to 325 milligrams per capsule to reduce the risk of liver injury. They also required a Boxed Warning, the FDA’s strongest warning, to call attention to the serious risks of liver injury from this drug. Just as many are unaware of the potential for skin reactions, many are unaware that acetaminophen is toxic to your liver, and is actually the number one cause of liver failure in the US. It’s surprisingly easy to take too much acetaminophen because it’s widely used in cold and flu and other over-the-counter medications, as well as in prescription painkillers like Vicodin and Percocet. Further, it doesn’t have to be one large overdose to cause an issue; one study found that you’re more likely to die from a “staggered overdose” (taking just a little bit too much for several days or weeks) of Tylenol than from a single large overdose. 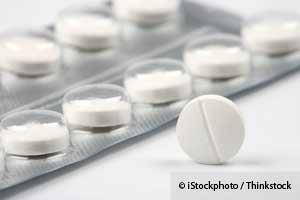 Acetaminophen Too Risky for Minor Aches and Pains? While I do not believe acetaminophen-containing drugs are appropriate for minor aches and pains, given their significant risks, they are sometimes necessary to suppress severe pain, such as while you are recovering from an injury or surgery, or while you are seeking to address the underlying cause of your pain. For those instances, make sure you are also taking N-acetyl cysteine (NAC), which is the rate-limiting nutrient for the formation of the intracellular antioxidant glutathione. It’s thought that Tylenol causes its damage by depleting glutathione, an antioxidant that protects cells from toxins such as free radicals. If you keep your glutathione levels up, the damage from the acetaminophen may be largely preventable. This is why anyone who overdoses on Tylenol receives large doses of NAC in the emergency room. So whether you are taking Tylenol in prescription or over-the-counter form, I strongly suggest taking NAC along with it. Tylenol and related products are familiar household items for many, but they are not the only option when you need relief from pain. For instance, the Emotional Freedom Technique (EFT)  works very effectively for relieving headache pain . The Advanced Muscle Integration Technique (AMIT)  helps treat muscle injuries and pain, while these simple exercises  can work wonders for treating back pain. K Laser : Laser therapy treatment helps reduce pain and inflammation and enhances tissue healing—both in hard and soft tissues, including muscles, ligaments, and even bones. It increases oxygenation of tissues and allows injured or damaged cells to absorb photons of light, which speeds healing. Curcumin : Curcumin is the primary therapeutic compound identified in the spice turmeric. In a study of osteoarthritis patients, those who added 200 mg of curcumin a day to their treatment plan had reduced pain and increased mobility. In fact, curcumin has been shown to have potent anti-inflammatory activity, as well as demonstrating the ability in four studies to reduce Tylenol-associated adverse health effects.